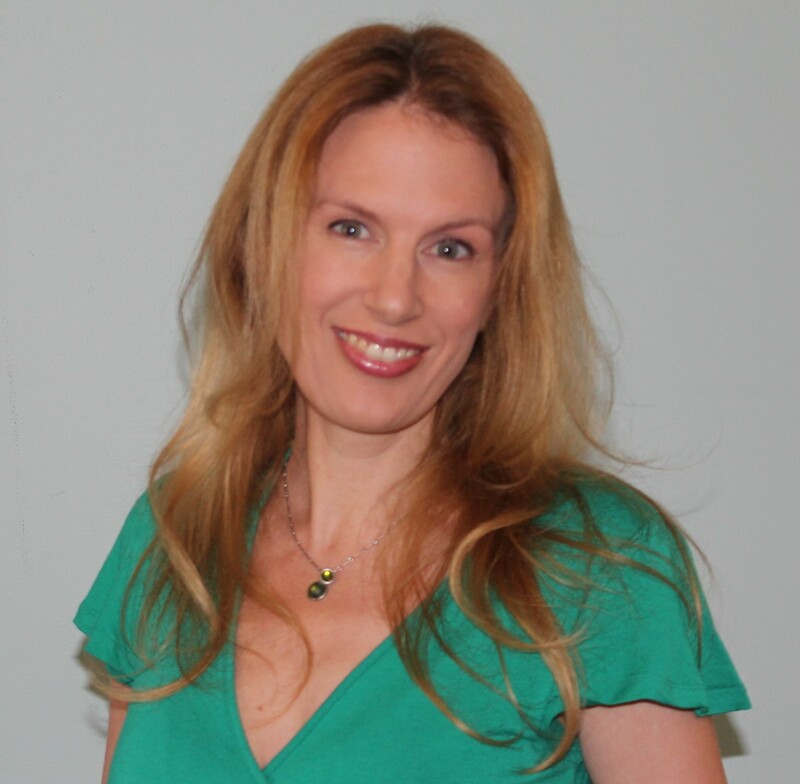 Kelly Bingham is a former Disney storyboard artist and director who now writes full time. She lives in Georgia with her husband and sons. 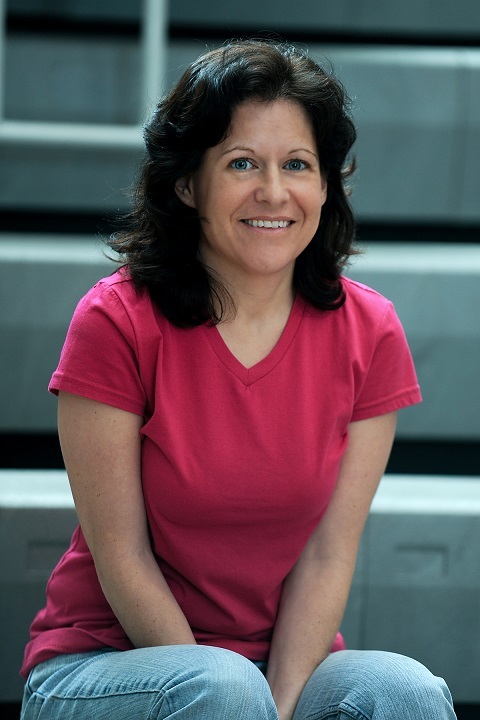 She writes picture books and young adult novels. I wrote all my life. When I was a child, I constantly wrote books and drew pictures for them. I decided to major in art in college and went on to work for 15 years in the animation industry. 12 of those years were at Disney. I loved every minute of it, but eventually I got an MFA in writing for children from Vermont College and transitioned into writing full time. I sold my first book, Z Is for Moose, while still a student at Vermont. It was a book I had written for my three year-old son, who was learning his ABCs and wanted “a funny ABC book.” I couldn’t find one for him, so I wrote Moose. My teachers encouraged me to submit it. 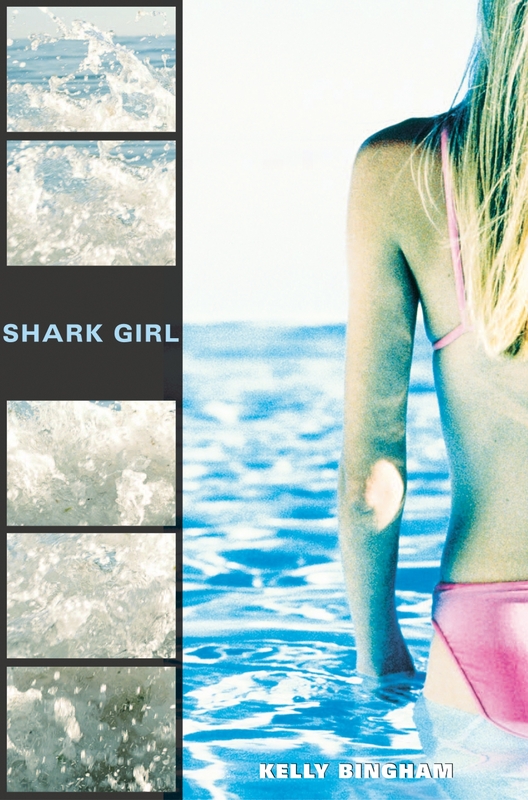 It sold quickly and soon after, I sold my first novel, Shark Girl. That gave me the courage to commit to writing full time. 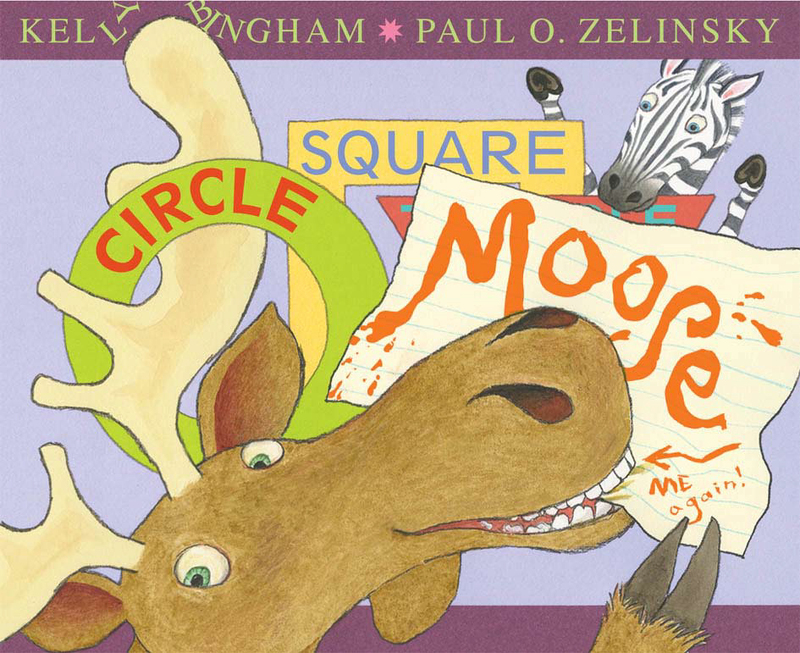 I just released a new Moose book called Circle, Square, Moose. 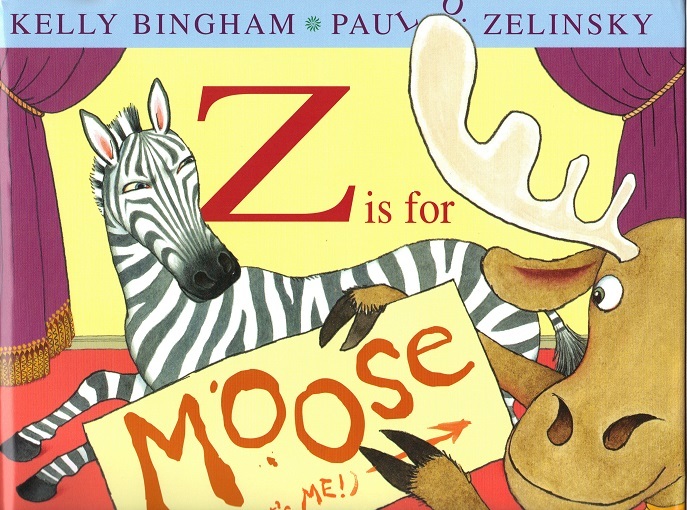 It is a sequel to Z Is for Moose. And I am currently working on a third Moose book! 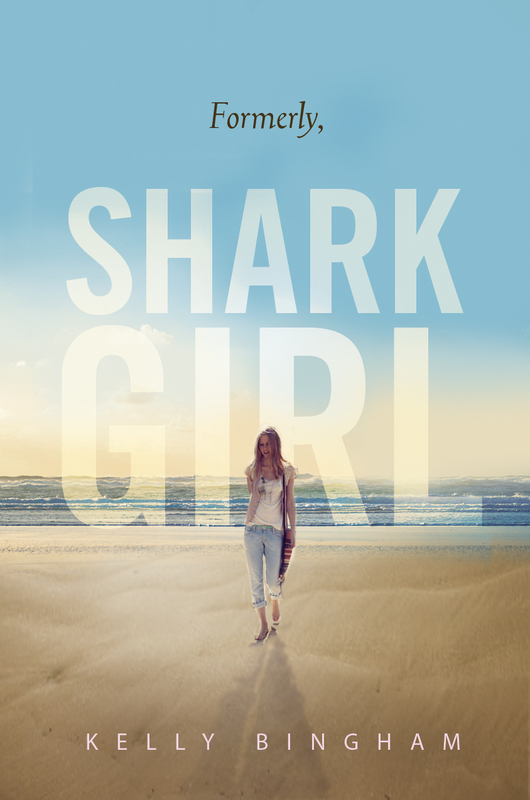 The title and subject have to remain under wraps for now, though. But you know Moose. It will only be a matter of time before he blurts it out somewhere. Probably Facebook. I work at home. I share a loft with my husband’s work area. (And our cats.) I have a window near my desk that looks out onto some lovely trees and a winding country road. We have birds, deer, and bears where I live. It’s mostly quiet, except for the neighbor’s dogs, who bark pretty much all day. But it’s pretty! A typical day is a long one for everyone in my family. We get up at five. My husband is off to work and the kids are off to school about 6:30. I go to the gym or run errands, then I’m at my desk by ten o’clock at the latest. I work until about 3. I always have various things to do—writing new material takes priority, but there are school visits to make presentations for, maybe interviews to do, update my website, edit something, research something, etc. I give myself two days a week off if possible—we all need a weekend! I draft in pieces—not in a lineal way. I write scenes throughout the book and go back and forth from one end of the manuscript to the other until it’s complete. I put things aside regularly and go back to them. I always have several projects in the works. Once a book really takes root and I’ve got a rough draft, then I only work on that one book, revising and revising until it’s done. When I finish a book, I usually take a few weeks off to clear my head before committing to the next project. Because I love to tell stories and reach that child reader out there who is looking for exactly the book I want to create. The writer and reader make a great team. I get ideas from all around—my loved ones, news stories on TV, images I might see in a magazine, snippets of overheard conversations. I like to look at situations and say “what if…?” and put myself in someone else’s shoes. The crazier the shoes, the better. Having faith in the process…it’s easy for me to wallow in doubt every single book. And who wants a job that makes you do that all the time? It doesn’t have to be that way. I am a slow, slow writer. My books take time. I constantly, randomly compare myself to others and think “I should write faster. Why don’t I write faster? Does that mean I’m bad at this?” It’s pointless and self-defeating to drag that along with you while you work. I have learned to minimize the impact of such thinking, but I have yet to eliminate it entirely. Whatever YOUR style of working is, just embrace it! That everything moves slowly. Did you get an agent? Great. It will still take time for your book to come out. Did you sell a manuscript? Great. It will still take time for your book to come out. Don’t put your life on hold waiting for that moment when your book hits the shelf. Keep writing. Always be creating something new. Put your energy into mastering your craft, not querying editors or agents before you’re ready. I wasted a lot of time in my early days submitting stories before they were ready or I was any good. I didn’t realize it at the time, but I do now. I wish I had put that time into working harder on my craft, rather than trying to rush the process. I may have (ironically) sold a book sooner if I had. Daphne DuMaurier, Laurie King, Harper Lee. WHICH FEMALE AUTHOR WOULD YOU LIKE TO SEE INTERVIEWED ON WORDMOTHERS NEXT?